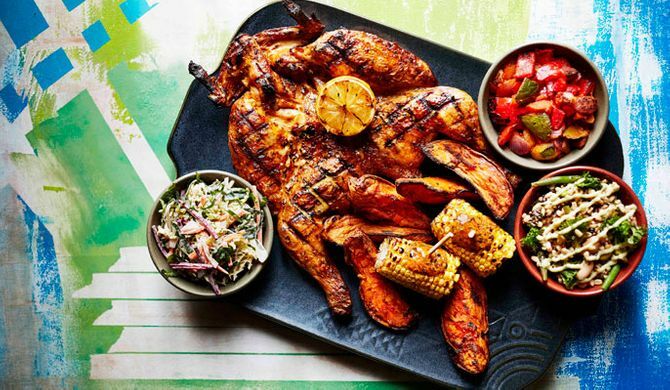 Just when you thought there was nothing the Peri-Peri professionals could to do improve their fail-safe menu, they’ve announced that five lip-smacking additions will be making their way to a Nando’s near you this Spring. There’s something for everyone with the favourite restaurant chain tapping into the #eatclean trend by offering something for its health-conscious diners, but we say save the diet for a rainy day 'cos there's too much foodie fun to be had. Anybody who is anybody has their go-to Nando’s order committed to memory but we predict you’ll be crying out for a menu come May 17th as Spring has sprung and it looks good enough to eat. Feast your eyes on this finger-licking goodness. The Holy Grail of the new Nando's menu - it features a whole flame-grilled chicken, deliciously flavoured in the spice of your choice, sweet potato wedges, fino coleslaw, peri-buttered corn on the cob, chargrilled veg and the newly-introduced super grain side. Not nearly as exciting as the previous dish but if you're carb-conscious, this should go some way to filling your Nando's craving. The Supergrain Salad combines all the goodness of greens and grains - think wheat berry, freekah (!? ), edamame, quinoa, green beans, barley and kale - topped with generously-sized chunks of avocado while a delicious concoction of avocado and buttermilk provides a suitably tasty dressing. Watching your waistline but can't resist the glorious smell of grilled chicken? If the answer's yes, this one's for you. Swap your chips for a guilt-free superfood salad which is best described as a baby version of the above, minus the chicken. Use the calories you saved up by opting for The Supergrain Salad to indulge in one of the dessert menu's two new brownie varieties. The salted caramel version is the safe option but if you’re the kind of person who gets a kick out of winning food-consumption challenges, we dare you to try the chocolate one which contains ‘a touch' of the brand's signature Peri-Peri African Bird's Eye Chilli. Additionally, Nando's have blessed us with the gift that is Peri-Pomegranate sauce which claims to be a sweet and tangy blend with a hint of chilli. 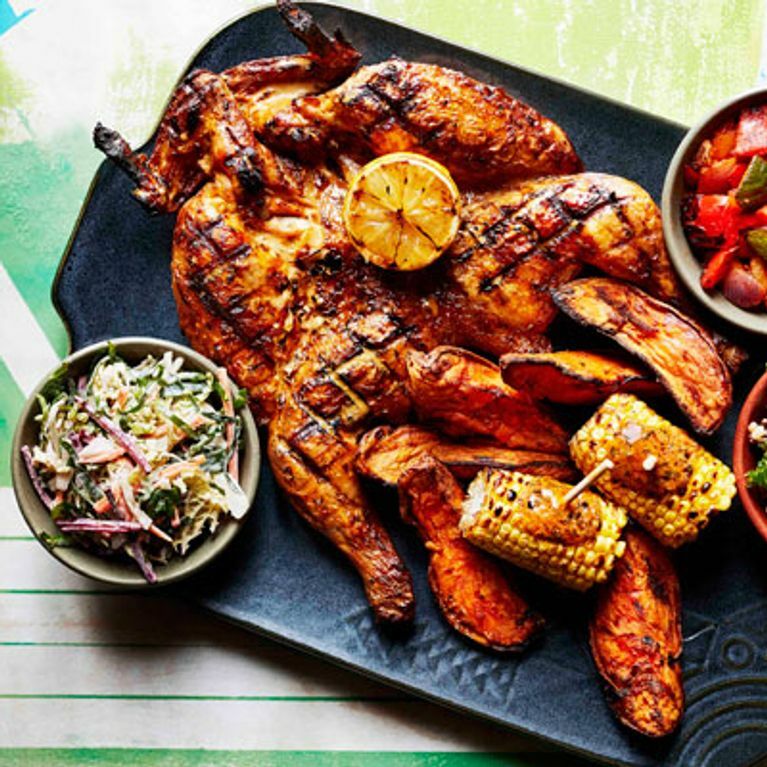 What do you think of Nando's new dishes? Let us know @sofeminineuk!